Although some stubborn Israelis won’t agree, Israel is really to blame for the absence of peace with the Palestinians. This is not to say Israel is also guilty for the war with the Palestinians, though people might mistakenly think so, considering the recent killing of 18 Palestinians in Gaza who were engaged in a pseudo-civilian invasion of Israeli territory on March 30. The real story is clear but generally misreported or unreported by the fake news outlets: Israel’s wanton concessions, innumerable gestures of good-will, and wide range of assistance that have all failed since the 1993 Oslo Accord to bring peace with the Palestinians. Israel withdrew from all of the Gaza Strip and parts of Judea and Samaria in the spirit of “territories for peace.” Facing Palestinians with their battery of terrorists and rock-throwing youth, knife-stabbers and arsonists, food-poisoners and maniacs crashing their vehicles into soldiers and pedestrians, Israel often showed undue indulgence where iron-clad firmness would have been expected and justified. 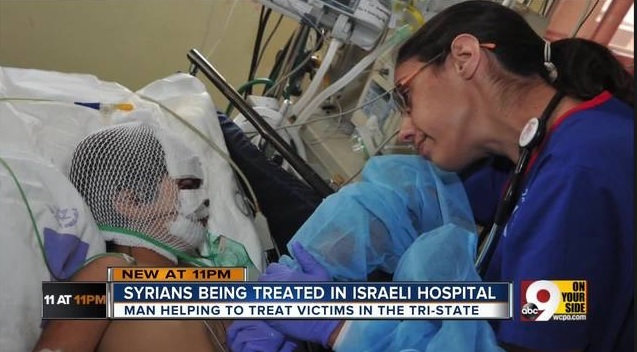 Israel’s complacent generosity has provided quality medical treatment in its hospitals for Palestinian enemies of Zionism, offered academic studies to convicted and imprisoned Arab terrorists, and transfers gas and electricity to Gaza and its Hamas jihad regime. And the courts – well, Israel’s Supreme Court – is on constant alert to block any government initiative to build its security wall through an empty field near an Arab village, and to cancel government punishment and deterrence decisions to destroy a terrorist’s home. In Middle Eastern cultural terms, we have uncovered an explanation for the interminable conflict. We have to speak about this with frankness, free from PC thought-control and Edward Said mantras. Israel has confused and disoriented the Palestinians for 50 years. Its so-called occupation regime, brandishing its assorted soldiers, roadblocks, arrests, and curfews, still leaves the Arabs with a panoply of liberties. They malign the Jews with impunity, spew hatred for Zionism, and erase Israel from their maps. They can violate Oslo agreements, mobilize anti-Israel resolutions at the United Nations, and promote the de-legitimization of Israel in the world. The Palestinian Authority uses its policemen as terrorists and foments violence on the Temple Mount. Hamas, after firing 20,000 rockets into Israel in the last ten years, yet refuses to return the corpses of Israeli soldiers, while Israel is adamant in assuming responsibility to prevent a virtual humanitarian crisis in Gaza. And Israel continues to transfer millions of shekels each month to sustain the Fatah Ramallah rogue regime of Mahmoud Abbas – notorious Palestinian terrorist, Holocaust denier, and human rights violator. The Arabs are baffled by Israel’s flawless fawning because this is a cultural enigma too unnerving to grasp. Their perennial war against the Jews is part of a psychological dynamic that Machiavelli wrote about in The Prince: “men have less scruple in offending one who makes himself loved than one who makes himself feared.” Accordingly, Arab youth walk brazenly and freely – and safely – in the Jewish sections of Jerusalem, enjoying the cafes and restaurants, while Jews are apprehensive to wander around the eastern Arab-inhabited parts of the city – where Israelis have been stabbed to death. So what are the Arabs to understand when Israel releases terrorists in bizarre deals, ignores Arab citizens unfurling Palestinian flags in Umm el-Fahm and Sakhnin in defiance of the state of Israel, and lavishes upon the Arabs a policy of preferential affirmative action? When Israel offered the Golan to Assad and Palestine to Arafat, and Sadat got the Sinai and Nasrallah southern Lebanon, the Arabs – while always demanding more – see only weakness and capitulation. The Arab psyche requires a readjustment of things. Thus, Palestinians therefore trigger more violence in order to stimulate the appropriate response from Israel. They yearn for a reordering of the value-universe, reestablishing meaning as when the culprit and criminal are severely punished. That would make perfect sense to them. An adversary who refuses to exercise power and authority is not worthy of respect, let alone allegiance. The Arabs feel scorn toward the Jews who can – but don’t – rule with an iron fist. When Islamic religious lore says Jews love life but the Muslims love death, this is an indictment of Jewish meekness and praise for Muslim faith. Yes, Israel is guilty for the conflict – not at the source but for its prolongation. Acts of Israeli restraint and accommodation send the Palestinians the wrong message. Terrorists must be expelled, militants silenced, and anti-Semitic propaganda quashed. The Arab community can then accept reality and peace under the blue-and-white flag in Israel, or preferably leave. The proper cultural-political ordering of things will bring warfare – but not the war – to an end. Writing in 1914, the pioneering Zionist Moshe Smilansky, having experienced Jewish-Arab connections in Rehovot, was remarkably frank concerning the Arab: “if he senses you have power, he will submit to you and maintain his hatred for you in his heart. If he feels you are weak – he’ll rule you.” The Jew cannot eliminate the Arab’s hatred, but he can decide what the Arab does with it.